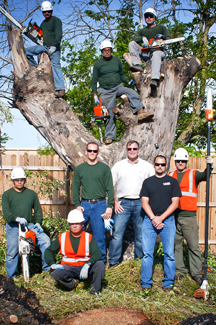 At The Grove, our mission is to provide exceptional tree care for our clients throughout Northern California. We are committed to enhancing the vigor, sustainability and vitality of your trees. Trees. They offer beauty, shade and a sense of longevity to our lives. Trees become a part of the community as they mature, providing privacy, reducing noise pollution and enhancing architecture. Trees enrich the environment by improving air quality, sheltering wildlife, and stabilizing the soil. They provide energy savings and increased property values. Trees are one of the most valuable landscaping investments you can make.